This is the summary of consumer reviews for Lipper International Child's Chalkboard Desk and Chair Set. The BoolPool rating for this product is Very Good, with 4.10 stars, and the price range is $69.99-$123.10. The Lipper International Child's Chalkboard Desk and Chair Set comes in a durable wood construction with non-toxic pecan, espresso and walnut finish. 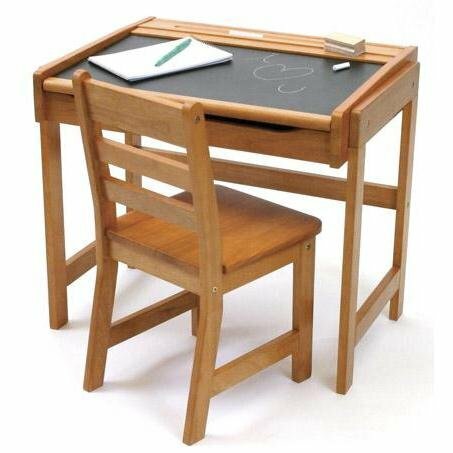 It features a sturdy chair and desk with inclined chalkboard top, and chalk storage groove. Flip up the chalkboard top to access the spacious storage underneath, the recessed hold prevents children from getting their fingers smashed. The furniture requires minimum home assembly and maintenance. The perfect size and height for kids make it fun, easy to use by promoting writing and creative skills among children. 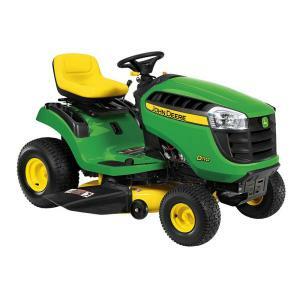 However, at times, some buyers received damaged products with missing parts. Also, wood may come with scrapes and cracks and the assembly instructions are misleading and confusing to some. Overall, the Lipper International Child's Chalkboard Desk and Chair Set is a great addition to any child's playroom or bedroom. It is recommended for its affordable price, utility features and is useful for toddler through early elementary school age. This set was easy to assemble and feels sturdy. Fortunately my husband is extremely handy and was able to fix the chair assembly with some wood glue and screws. just put the dowals in place, assemble everything and then do the screws for one side, flip it over, make sure everything is where it's supposed to be and then screw in that side too. It takes a total of 6 screws and 2 dowals to assemble the desk itself. The screws went in quickly - It took an average of just 6-8 revolutions with the hex key to completely screw in each screw. Instructions for assembling the table are a little misleading. Most of the table top comes assembled. VERY solid pieces of wood. Easy to assemble, was short i screw anf called mfg., had it in a couple of days so I could put it together for Christmas. My kids love them, they're adorable and very functional with the chalk board top and storage underneath. I bought these for my two kids and they love them. Love the pecan color too. I'd recomend this product to anyone who's a kid that loves to draw and color. Great amount of storage for pencils, crayons, and books. Functional storage, used as desk AND art table. He loves it and it's real sturdy. the wood quality appears good. Very impressed with the wood and easy assembly. First, it's MDF instead of solid wood. update: wood chair has split. The desk and chair are made of quality wood and is very durable. When desk was unpacked the lid had a 3-4" crack in the wood and the outer box wasn't damaged. Other than that, it's pretty and real wood. But the wood is still holding up really well even after hard use from a preschooler. There are also nicks in the wood and scrapes. It's a really nice looking piece of furniture. Beautiful wood looks great as a real piece of furniture in our home. The price here was fabulous!.The desk arrived packaged very nicely to prevent any damage in shipping. Instructions were very easy to follow.Very much one of those pieces of furniture where the price is very right and you get a great piece your kids will love. The wood is a nice gloss finish and you can see the wood grains in this solid wood piece...which isn't too heavy!.It's very sturdy and looks amazing! My desk arrived missing an entire hinge, several cracked pieces of wood, and the main pre-assembled piece was torn apart. This seems like an overall well constructed desk, but mine did arrive with some damage. The desks and chairs are well made, easy to assemble, and the perfect size for small children. I love shopping for nice qaulity, yet unique pieces for my children's rooms. The boys love them and they're made sturdy and I think will hold up well.